But it's precisely this simplicity, the subtle variations by region and the fresh ingredients that keep us pulling up a plastic stool for more. 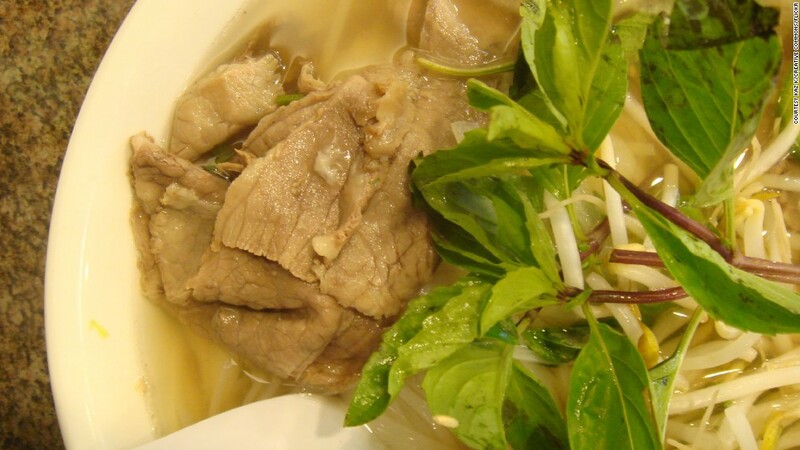 What list of Vietnamese cuisine would be complete without pho? It's almost impossible to walk a block in Vietnam's major cities without bumping into a crowd of hungry patrons slurping noodles at a makeshift pho stand. This simple staple consisting of a salty broth, fresh rice noodles, a sprinkling of herbs and chicken or beef, features predominately in the local diet - and understandably so. It's cheap, tasty, and widely available at all hours. Just look out for a mass of people on plastic stools - or try a tried and tested favorite: Pho Thin, 13 Lo Duc, Hai Ba Trung District, Hanoi. Soft, crunchy, sweet, spicy - a bowl of contrasts. Try Morning Glory, 106 Nguyen Thai Hoc, Hoi An. Some might call it river weed - with good reason - but that doesn't stop the masses from scarfing down platefuls of morning glory, usually stir-fried and seasoned with slithers of potent garlic. Chung Den Bia Hoi, 18B Hang Cot, Hoan Kiem district, Hanoi. Vietnam's bite-sized crunchy spring rolls might not enjoy the same popularity as their healthier fresh equivalent, but they deserve a special mention. Bun Cha, 1 Hang Manh, Hoan Kiem district, Hanoi. 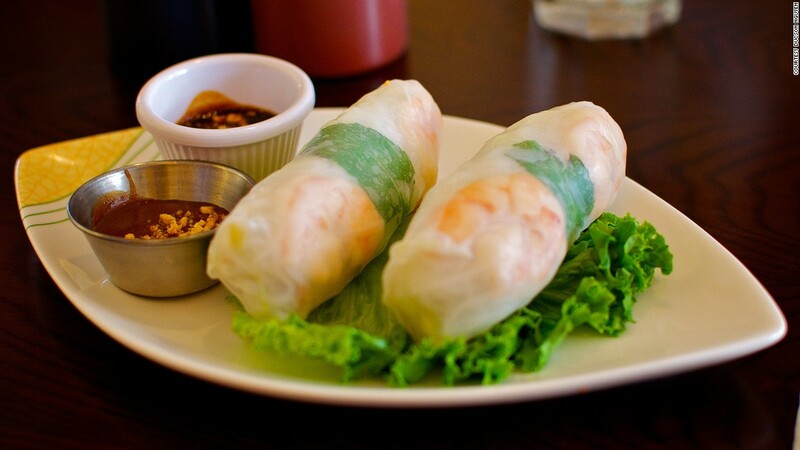 These light and healthy fresh spring rolls are a wholesome choice when you've been indulging in too much of the fried food in Vietnam. The translucent parcels are first packed with salad greens, a slither of meat or seafood and a layer of coriander, before being neatly rolled and dunked in Vietnam's favorite condiment -- fish sauce. Quan An Ngon, 18 Phan Boi Chau, Hoan Kiem district, Hanoi. 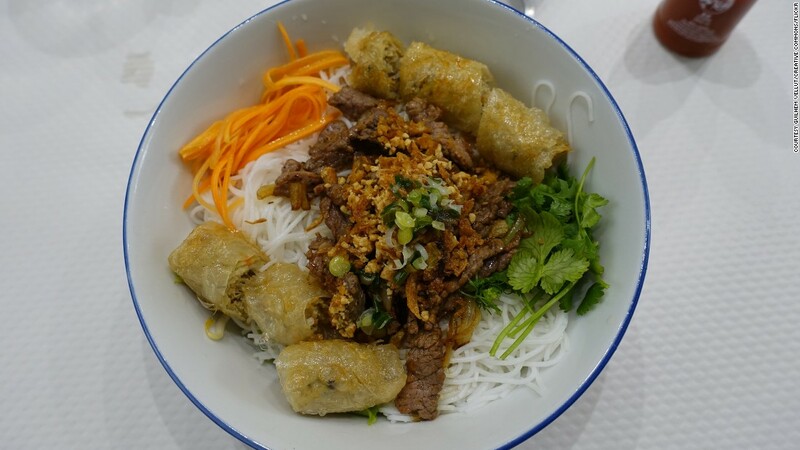 You don't have to go to Hue to enjoy this dish; if in Ho Chi Minh City try Tib Express, 162 NguyenDinh Chieu, District 3, HCMC. Co Ba Vung Tau, 59B Cao Thang, District 3, HCMC. 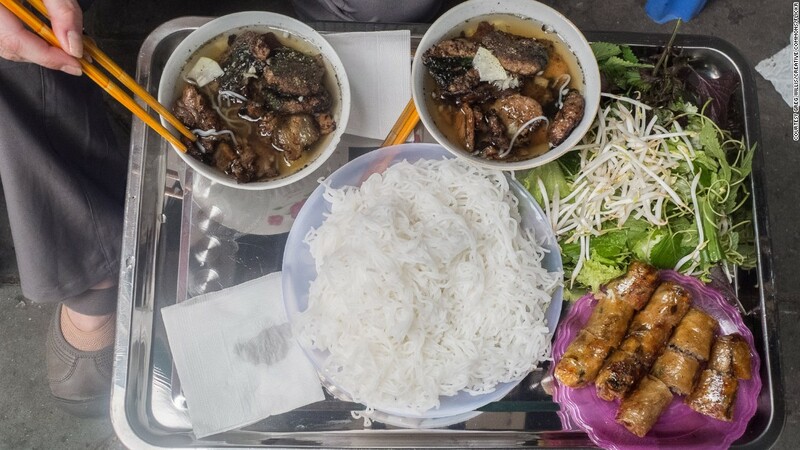 Try this at one of the street stalls on Hanoi's Tong Duy Tan aka Pho Am Thuc, or "Food Street," Hoan Kiem district, Hanoi. Vietnam's banana flower salad packs a much bigger punch than a typical plate of mixed greens. Highway 4 restaurant, 3 Hang Tre, Hoan Kiem district, Hanoi. 67 Hang Dieu, Hoan Kiem district, Hanoi. This chunky blend of fresh tropical fruit in a cup is the perfect local treat when the heat of Vietnamese summer starts to wear you down. It could be considered a healthy alternative to ice cream - if you stick to the shaved ice variation - but for the full experience it's best had with diabetes-inducing condensed milk mixed in. The best place to find them is on Ngu Xa island on the capital's Truc Bach Lake -- specifically at 26 Nguyen Khac Hieu, Ba Dinh district, Hanoi. Viet Ha on Ly Van Phuc, Dong Da district, Hanoi. Pho xao may just be a slightly healthier take on my xao -- but the beauty is in the details. The flat, smoother pho noodle doesn't crisp up like its pre-boiled instant cousin. 26 Nguyen Khac Sieu, Hoan Kiem district, Hanoi. 3T Quan Nuong, 29-31 Ton That Thiep, District 1, HCMC. Xoi Yen, Nguyen Huu Huan, Hoan Kiem district, Hanoi. Pineapple Restaurant, 35 Hang Buom, Hoan Kiem district, Hanoi. 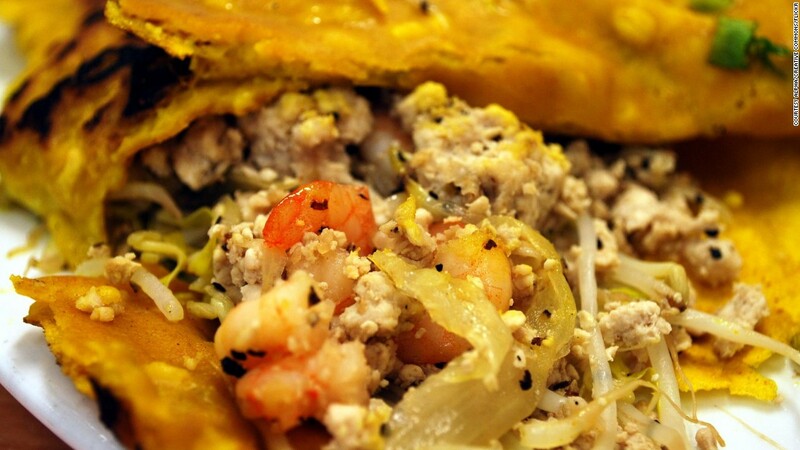 Saigon's favorite streetside snack, bot chien, is popular with both the afterschool and the after-midnight crowd. 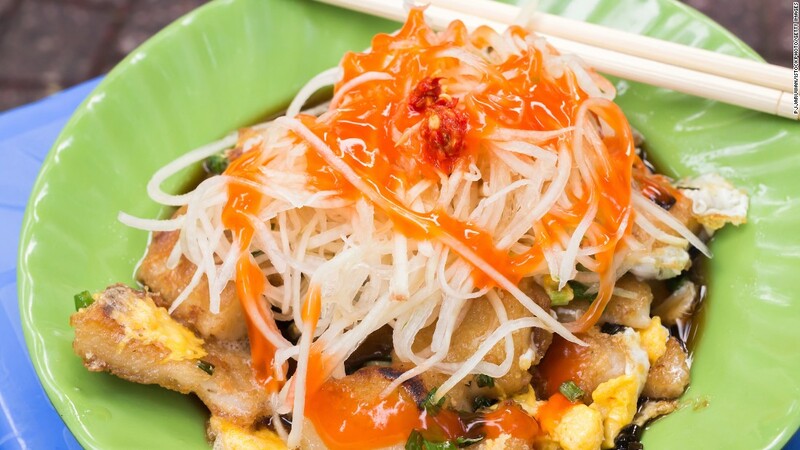 Chunks of rice flour dough are fried in a large wok until crispy and then an egg is broken into the mix. Once cooked it's served with slices of papaya, shallots and green onions, before more flavor is added with pickled chili sauce and rice vinegar. Night-time food vendors sell this at the corners of Pham Ngu Lao and Cong Quynh, District 1, HCMC. This plain-looking tofu and noodle dish is served with mam tom sauce - the Vegemite of Vietnam. The pungent purple dipping sauce is used to flavor the slabs of deep-fried tofu that are at the core of the meal. These pockets of deep-fried goodness are often described as the equivalent of a Cornish pasty or as a Vietnamese samosa, depending on the nationality of the person explaining. 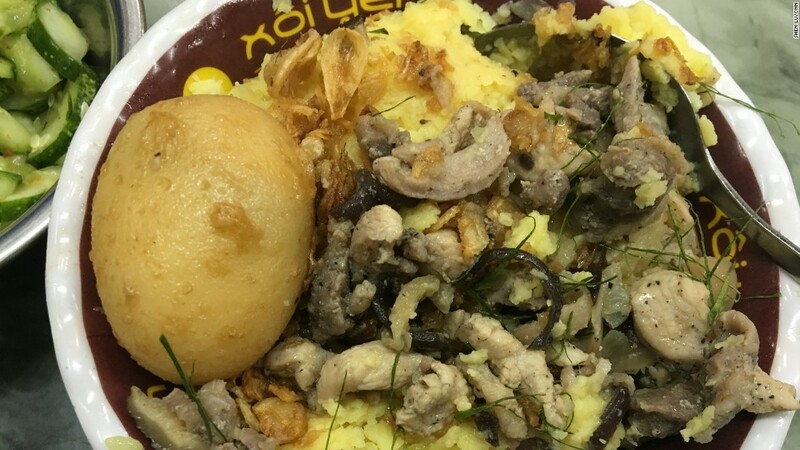 Inside the crispy exterior you'll find that it's similar to neither description, with its filling of finely minced pork, mushrooms and vermicelli noodles. Com Tam Cali has a number of branches across HCMC. 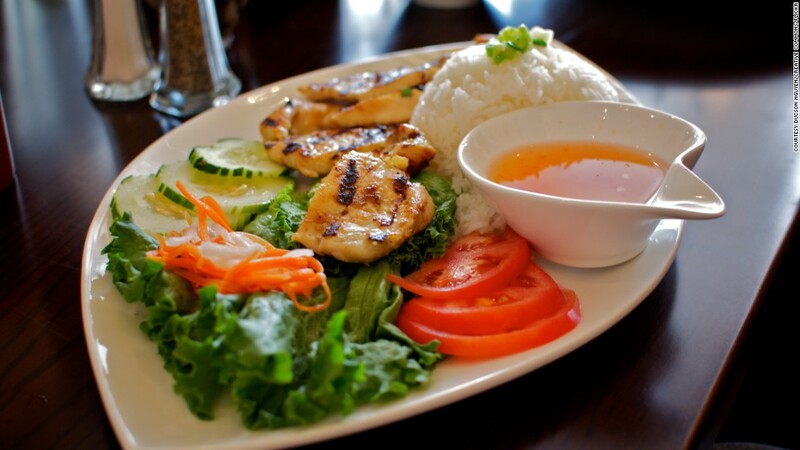 Try Tam Cali 1 at 32 Nguyen Trai, District 1, HCMC. Chao Ca specializes in fish chao, 213 Hang Bong, Hoan Kiem district, Hanoi. Cubes of beef are tossed around a steaming wok with garlic, pepper, and some vegetables to make shaking beef. There's nothing special about the beef that makes it shaking. Nha Hang Ngon, 160 Pasteur, District 1, HCMC. The smell of chestnuts roasting on an open fire can bring back fond memories of Christmas carols - until a moped transporting a giant blow-up Santa whizzes by. Pick the street vendor with the most enticing smell. It's all about the marinade when it comes to the grilled pork in fresh rice paper rolls that are popular in central Vietnam. The typical mixture coats the meat in a blend of sugar, salt, chili, lemongrass and fish sauce. Cilantro, basil and mint are added when it's served up to add some green to the appetizer. Morning Glory, 106 Nguyen Thai Hoc, Hoi An. Pho might be Vietnam's most famous dish but bun cha is the top choice when it comes to lunchtime in the capital. Just look for the clouds of meaty smoke after 11 a.m. when street-side restaurants start grilling up small patties of seasoned pork and slices of marinated pork belly over a charcoal fire. Once they're charred and crispy the morsels are served with a large bowl of a fish sauce-heavy broth, a basket of herbs and a helping of rice noodles. 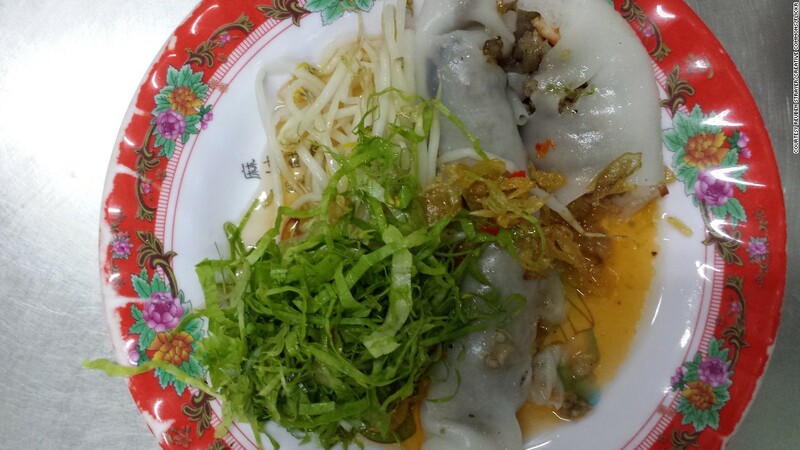 Hanoi's most famous bun cha outlet is 1 Hang Manh, Hoan Kiem district, Hanoi. 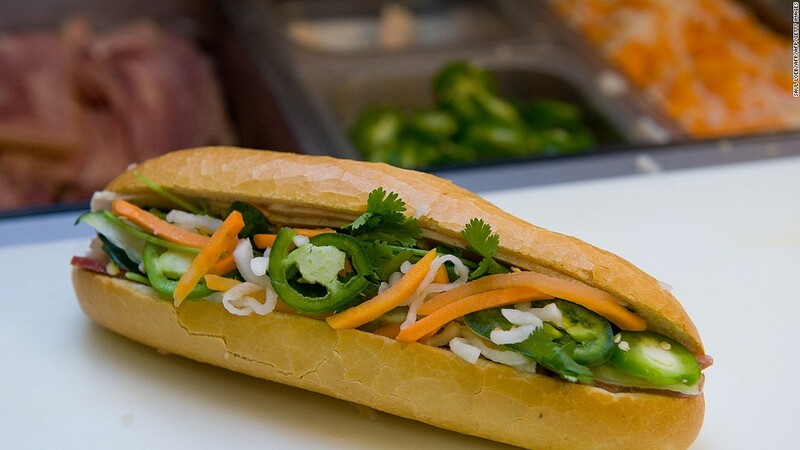 In the north chefs stick to the basic elements of carbohydrate, fat and protein - bread, margarine and pata - but head south and your banh mi may contain a more colorful combination of cheese, cold cuts, pickled vegetables, sausage, fried egg, fresh cilantro and chili sauce. One of the better baguette vendors in Saigon sets up shop beside the Cherry mini-mart on Do Quang Dao, District 1, HCMC. Eating this hodgepodge hotpot dish is a communal affair with everyone digging in to the oversized boiling pot. We've found that just about anything can (and will) go into this soup from tofu to frogs. It's best to stick to one main protein rather than opting for the mix of meat, poultry and seafood together. On the northern edge of Hanoi's Truc Bach lake you'll find a number of restaurant staff crossing the street to deliver lau to lake-side diners. Steamed pork buns aren't traditionally Vietnamese but that doesn't stop the spongy rolls from being sold by street vendors and in traditional Vietnamese restaurants. 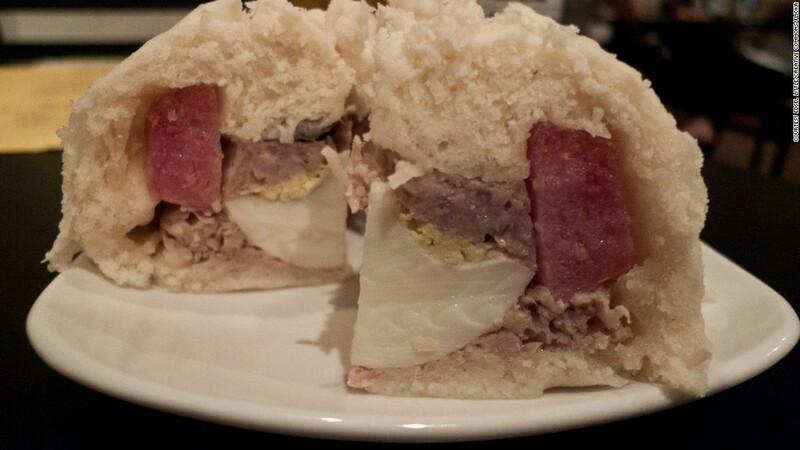 The best buns have a hard-boiled quail egg buried within the minced meat, while the cheaper ones come without any filling at all. Remember the lower the price the less stuffing, so you might not be getting the good deal you thought you were. Fried rice may not be the most adventurous option, but sometimes you just want some familiar grub done right. Baby-sized chunks of meat and colorful vegetables are mixed with soy and fish sauce in a wok streetside to create a rice dish that is still moist but slightly smoky. Try one of the vendors on Tong Duy Tan aka "Food Street," Hoan Kiem district, Hanoi. 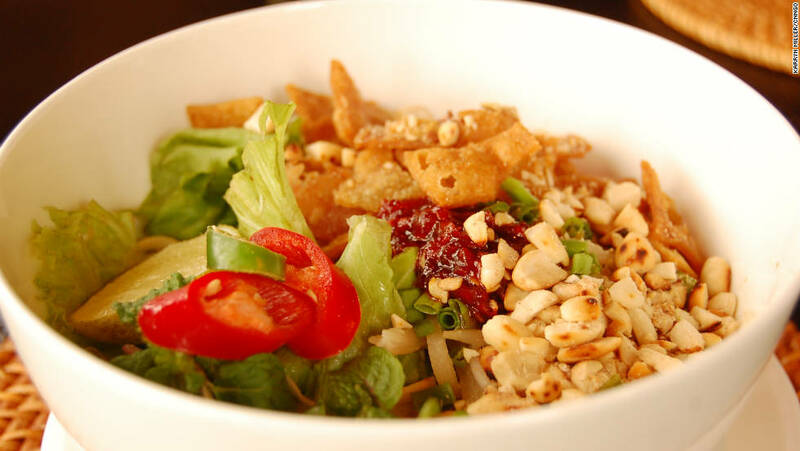 Com chay refers to two things in Vietnam: vegetarian food, or Vietnam's homemade rice crispies that are popular with children. Unlike the sweet treats in the United States, Vietnam's version of a crispy comes with meat instead of marshmallows. 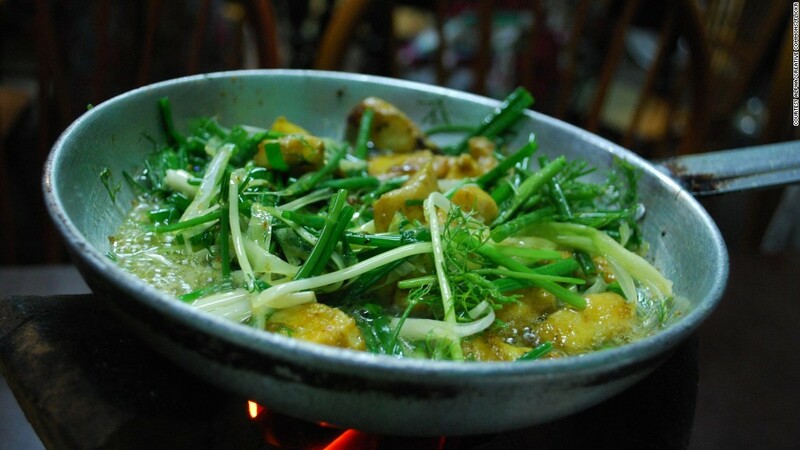 Vietnam's vegetarian restaurants use mock meats to create all the traditional dishes and usually do a pretty good job. Although some places include artificial creations we would rather not try. Fake rubbery snails anyone? 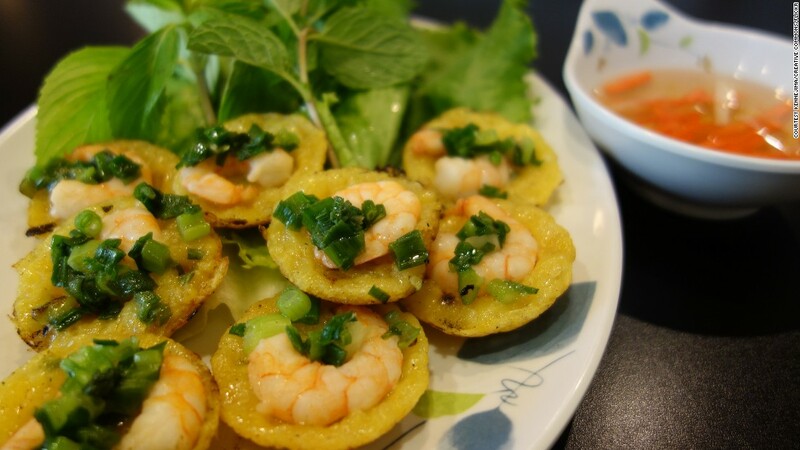 Try Hoa Dang vegetarian restaurant, 38 Huynh Khuong Ninh, District 1, HCMC. Best had when you're craving something sweet on a scorching day in Saigon. Chim Sao at 65 Ngo Hue, Hai Ba Trung district, Hanoi. ** Editor's note: This article was previously published in 2011. It was reformatted and republished in 2017.